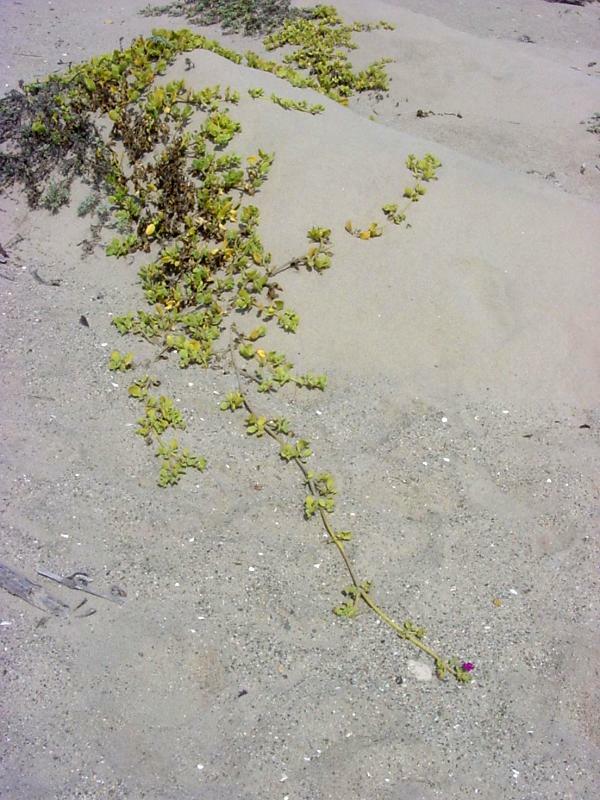 Red sand verbena is a trailing succulent sand-dune plant, densely glandular-hairy, with compact clusters of red-violet flowers, found mostly on coastal strand from San Luis Obispo County south to Baja. The petioled leaves are opposite, thick, ovate to ovate-oblong, and 3/4" to 2-1/4" long. The clusters of flowers are subtended by involucres of lanceolate or narrowly ovate bracts. The five-lobed tubular calyx has a limb 1/8" to 1/4" wide, and there are no petals. The fruits are coarsely net-veined and have five thick wings. 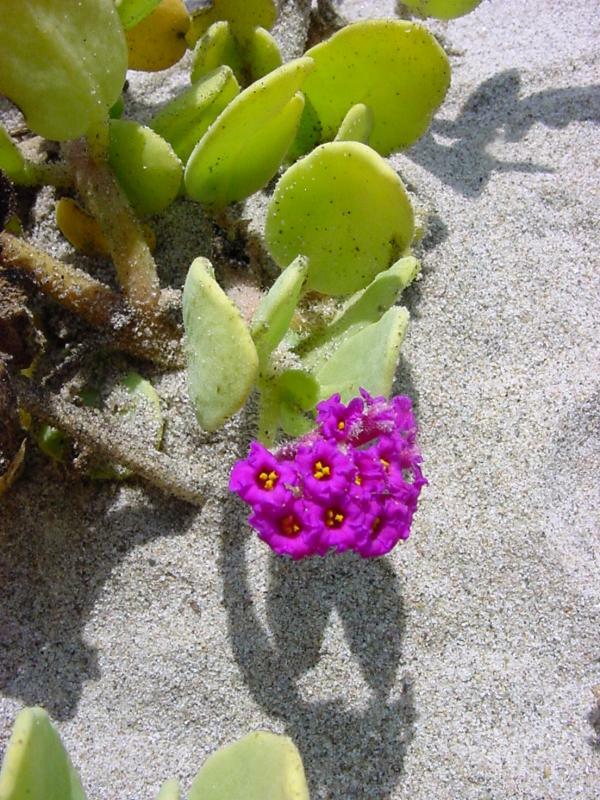 Red sand verbena may be seen blooming from February to October. 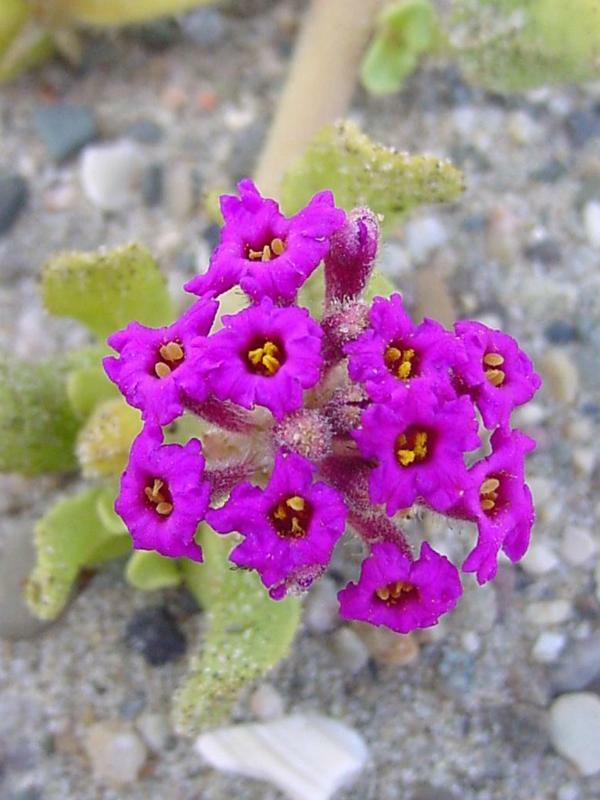 Click here for Latin name derivations: 1) Abronia 2) maritima.